Tuesday 29. 01. 19 Winter arrived last night – 32 cm of snow this morning and perhaps more today. 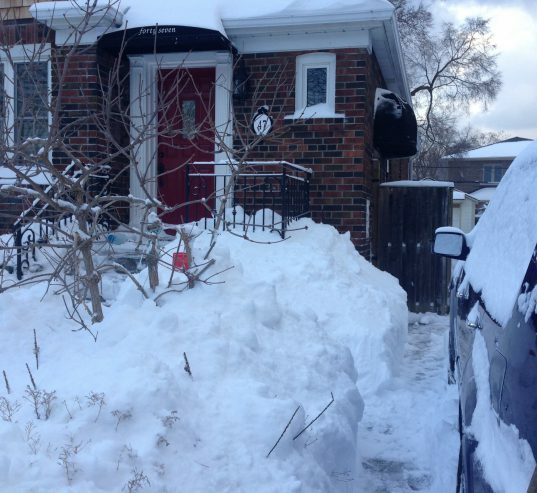 Shovelled a narrow path to the road as far as the snow bank created by the snow plough. TTC not running between Victoria Park and Woodbine this morning – brings back memories!